From left to right, here are Mickee and Trudy. The girls switched spots for a closeup. 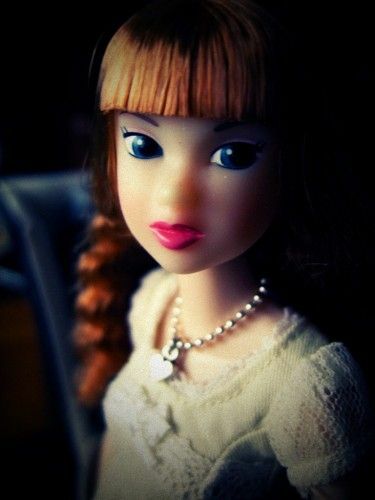 I love Jelly Beans Generation, I switched mine to a new body though. 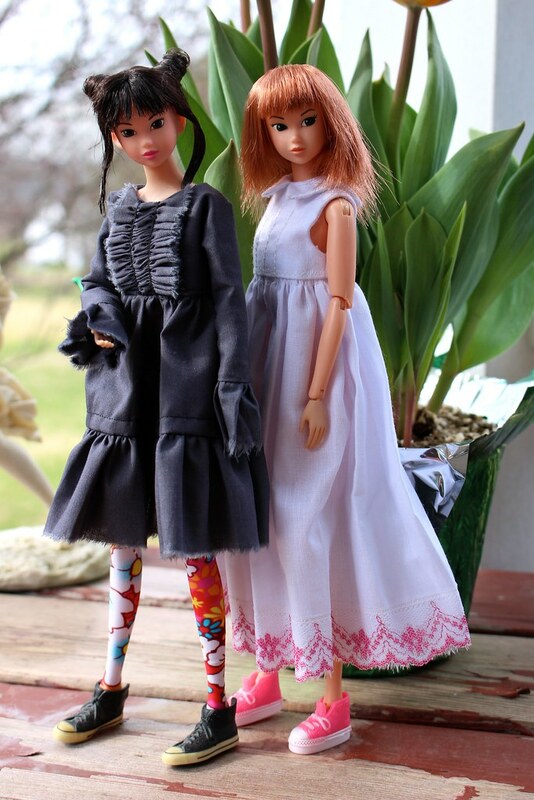 I think she's the only Momoko (except for S.C. Ramble of course) that has her hair done with those cones. jelly beans on a new body is a dream. Congrats! Haha, sorry! I love jelly beans generation too. I love her pink lips and grey eyes. Congrats, MJ! Isn't it wonderful when you finally get to add some of the older girls - I remember very well being bitten by that particular bug! 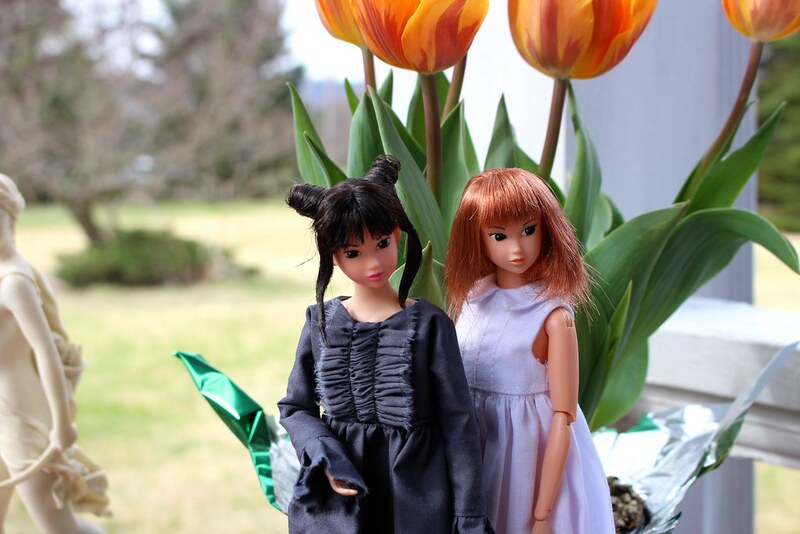 I started collecting Momoko about four years ago, and my first dolls were of that time - I remember the excitement of buying Preppy Girl, Lacy Modernist, Miracle Party Girl and the Spring Forest twins; they were all among my first. But it wasn't too long before I found myself hankering for some of the older girls, and I have to admit, when I finally bought some, not having any real idea of what they were worth, I kind of lost my head and paid far too much for them - probably about double what some of them were worth. I don't really regret it though - because to me it feels so good to have some of the girls from the early days. I was just crazy about some of them, like Goth Girl, RoboChris and 03SSbl; and I still am. And also to me, having those older girls makes it feel like a more "rounded" collection. Would you agree?